Anyone who has been paying attention knows that self-driving cars are already being tested on our roads and highways. Yet, the technology still has a long way to go before autonomous cars totally replace today’s human-controlled vehicles. How Soon Will Driverless Cars Get Here? A recent article in Fortune predicts self-driving cars may become a regular sight on American roadways as soon as 2020. Even so, the article points out that it will likely take another 20 years before nine out of 10 cars on the road will no longer require a human driver. Not surprisingly, Americans have expressed mixed reactions to the idea of turning the wheel over to non-human drivers. 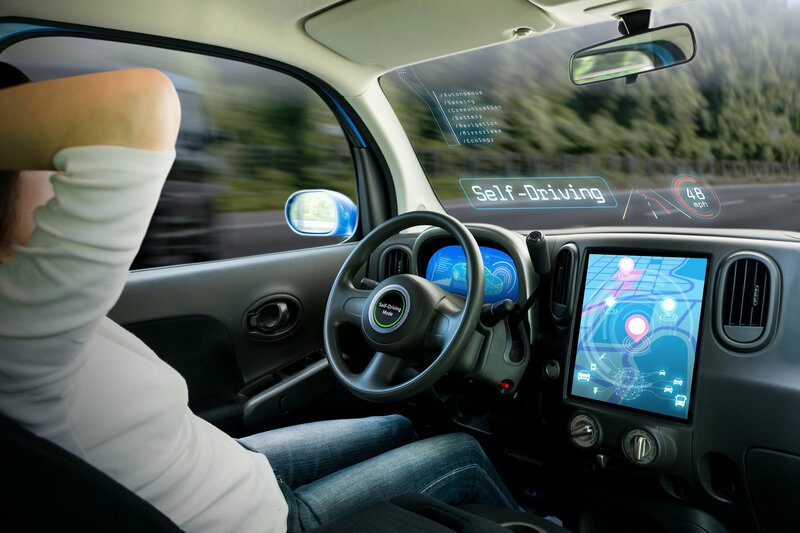 As with most new technologies, the early adopters have already embraced the idea of self-driving cars, and are anticipating their arrival with great enthusiasm. However, the Pew Research Center reports that most Americans express somewhat more worry than enthusiasm about the widespread adoption of driverless cars. Whether it’s from alcohol or drugs, texting while driving, speeding or any other factor, drivers are by far the leading cause of auto accidents. Autonomous vehicles have the potential to drastically reduce both the number and severity of accidents. A study by the Eno Center for Transportation, a national leader in policy and professional development for the transportation industry, shows just how impactful the safety improvements could be. Reduce the economic costs of automobile accidents by more than $20 billion. Save Fuel, Sit in Less Traffic. Two of the biggest complaints about driving today are the cost of gasoline (although it’s lower than in the past), and the daily traffic congestion in most cities. Self-driving cars could lead to big improvements in both areas. Autonomous cars are designed to accelerate and brake more efficiently, which will help improve fuel efficiency. They will also provide better spacing between cars, which will reduce stop-and-go situations that eat up fuel and frustrate drivers. 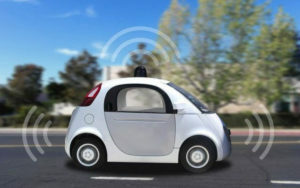 Driverless cars will decrease the number of cars on the road, cause fewer accidents, and smooth out the flow of traffic. More efficient spacing between cars will increase highway capacity. Because autonomous vehicles can follow each other more closely (due to better braking and communication with each other), highway capacities could increase by as much as 12,000 vehicles per lane, per hour. All of which leads to less traffic congestion and less gridlock for travelers. Driverless cars will also reduce CO2 emissions – up to 300 million tons each year according to some industry experts. Here’s a benefit everyone will love – the freedom to do what you want when traveling by car instead of keeping your eyes on the road all the time. For example, the ability to work in the car on the way to work can improve personal productivity. Or, you’ll be able to relax and unwind in the car after work instead of waiting to get home to do it. As traffic congestion declines, people will get to their destinations quicker, creating more time to do something other than commuting. The possibilities are endless. Read the news on the way to work instead of at the breakfast table. Practice and rehearse that big presentation you have to give to the management team. Watch a video or read a book to relax. Catch up on your texts and emails in the car without posing a threat to other vehicles on the road. In today’s society, time is the most precious commodity. A study by McKinsey suggests that when self-driving cars take over the roads, commuters around the globe will save a combined one billion hours to do with as they please. Searching for a parking spot, especially in crowded malls or at sporting events, also ranks high on the list of driver dislikes. With self-driving cars, this time-wasting task will become a thing of the past. With the ability to communicate with each other, cars can signal when they’re pulling out of a parking spot, and your car will know exactly where it is. Even better, self-driving cars can be programmed to drop you off at the curb in front of your destination, park themselves, and return at a designated time or when you signal them to pick you up. Of course, if you typically park far away to increase the number of steps you take every day and improve your fitness, you’ll need to find a way to replace that exercise. But when you’re in a hurry and don’t have time to waste, eliminating the parking merry-go-round will seem like a dream come true. Greater Independence for the Elderly and Disabled. Self-driving cars will be a real boon to those who are currently unable to drive on their own. Instead of depending on family, friends, taxis or Uber-type services, they can now get where they need to go on their own terms. All they will have to do is program the destination, get in the car and go. A lot needs to happen before we can all feel confident putting our lives in the hands of autonomous vehicles. But the potential savings in terms of time, money and, most important, lives, should have us all eagerly looking forward to that day. A hundred years from now, society will look back and wonder how we ever put up with the time, expense and danger of driving ourselves around every day. « Can Chipped Paint On A Car Cause Rust?